Intrusion Detection Systems (IDSs) are becoming the important priority to secure the organizations’ IT resources from potential damages. However, organizations experience a number of challenges during IDS deployment. The preliminary challenges of IDS deployment involve product selection according to organizational requirements and goals followed by IDS installation. IDS installations frequently fail due to resource conflicts and the lack of expertise necessary for the successful installation. Post installation phases of IDS involve a number of challenges associated with proper configuration and tuning that requires advance skills and supports. Organizations can overcome many obstacles of product installation and IDS configuration through maintaining a test-bed and phased deployment. Once IDS is operational, IDS data undergo various levels of analysis and correlation. To perform data analysis tasks, administrators require advance programing and networking skills and an in-depth knowledge on organizational network, security, and information architecture. Sometimes large organizations need to correlate data from multiple IDSs products. One potential solution to that is the use of SIEM (Security Information and Event Management) software. Organizations also need to ensure the security and integrity of various IDS components and data. Agents’ and data security can be overcome by maintaining a more autonomous design in the agent structure and incorporating appropriate formats, protocols, and cryptographic arrangements in different phases of data lifecycle. IDS products require ongoing human interaction for tuning, configuration, monitoring and maintenance. Hence, Organizations need to gather different levels of skills for the proper deployment and operation of IDS products. Intrusion detection is the surveillance of computer hosts and associated networks through observing various events and identifying signs of unauthorized and unprivileged accesses and other anomalous activities that can compromise the confidentiality, availability, and integrity of the system (Singh, Gupta, & Kumar, 2011; Sundaram, 1996; Lasheng & Chantal, 2009). With rising number of malicious attacks on organizational information network, intrusion detections and security incident responses have become the key priorities to organizational security architecture since the widespread industrial adoption of network during the 1990s (Yee, 2003). Today, the placement of a dedicated intrusion detection system (IDS) in organizational IT system is one of the important considerations for organizations (Werlinger, et al., 2008). The aim of intrusion detection system is to ensure adequate privacy and security of the information architecture and save IT resources from potential damages from various internal and external threats (Scarfone & Mell, 2007). Intrusion detection systems (IDSs) monitor and record activities or events in computer and network environment and then analyze them to identify the intrusion. With industry’s wide spread adoption, intrusion detection systems have become the de facto security tools in corporate worlds. Major organizations and governmental institutions have already deployed or on the verge of deploying IDSs to secure their corporate networks. However, the deployment of IDS, particularly in the distributed network of a large organization, is a non-trivial task. The complexity and the time required for installation depends upon the number of machines that need to be protected, the ways those machines are connected to the network, and the depth of surveillance the organizations need to achieve (Iheagwara, 2003; Innella, McMiIlan & Trout, 2002). As a result, large organizations need elaborate planning during different phases of IDS deployment, including during product evaluation and testing, suitable placement of IDS agents and managers, configuration of IDS components, integration of IDSs with other surveillance products, etc. (Bye, Camtepe, & Albayrak, 2010; Bace & Mell, 2001) The aim of this paper is to discuss various challenges associated with IDS deployment in large-scale distributed network of big corporations. Particular emphases are given to the various challenges associated with the management of agents, collection of agent data, and the correlation of IDS data to identify possible intrusions in large scale distributed networks. The paper will also discuss various “real-world” encounters during different stages of IDS deployment, such as, during evaluation of products, IDS installation and configuration, management and ongoing operation, etc. and make necessary recommendations to overcome those difficulties. Why are Intrusion Detection Systems Required for Large Organizations? Networks are ubiquitous in today’s business landscape. Organizations harness network power to develop sophisticated information system, to utilize distributed and secured data storage, and to provide valuable web-based customer services. Software vendors provide their applications to the end users through networks. Networks allow employees to gain remote accesses to their offices or organizational resources. These proliferations of network activities have flooded the internet with different classes of cyber threats, including different classes of hackers, rogue employees, and cyber terrorists. A significant number of these threats derive from competitor organizations seeking to exploit organizational resources or to disrupt productivity and competitive advantages. In recent years, the proliferation of heterogeneous computer networks, including a vast number of cloud networks, has increased the amount of invasive activities. Today cloud based e-commerce sites and business services are major targets of attackers. The damaging costs resulting from cyber-attacks are substantial. The traditional prevention techniques, such as secured authentication, data encryption, various software and hardware firewalls are often inadequate to prevent these threats (Rao, Pal, & Patra, 2009; Anderson, Frivold, & Valdes, 1995). Various kinds of system vulnerabilities are undeniable or typical features of computer and network systems. The intruders frequently search for various weaknesses of defensive products, such as a subtle weak point in the firewall configuration, or a loosely defined authentication mechanism. Hence, the investment in an intrusion detection system within an organization’s security architecture as a second line defense mechanism can increase the overall security postures of the system. 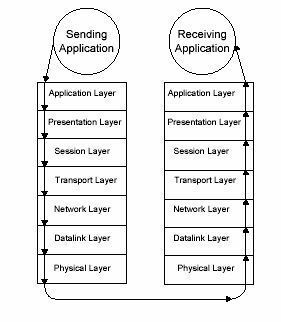 A distributed agent-based architecture consists of two main components–i) IDS agents and ii) the management server (Beg, Naru, Ashraf, & Mohsin, 2010). An agent is a software entity that perceives different aspects of its location (networks and hosts) and capable of acting itself according to the supplied protocols (Boudaoud et al., 2000; Mell et al., 1999). Intrusion Detection Systems agents work independently (Brahmi, Yahia, & Poncelet, 2011), interact with central management servers, follow protocols according to the systems’ requirements, and collaborate with other agents in an intelligent manner (Lasheng, & Chantal, 2009). The management server is the cornerstone of an IDS that facilitates centralized management of IDS components. This includes tuning, configuration and control of distributed agents; aggregation and storage of data sent by various agents; correlation of distributed data to identify intrusions; and the generation of alerts (Chatzigiannakis et al., 2004). The central node also performs any update and upgrading of the system (Chatzigiannakis et al., 2004). In case of a mobile agent based distributed IDS, the management server also responsible for dispatching agents and maintaining communication with them. The difference between a normal and a distributed agent based Intrusion Detection Systems is that in a distributed IDS, the significant part of analysis tasks are performed by the agents situated across the network. 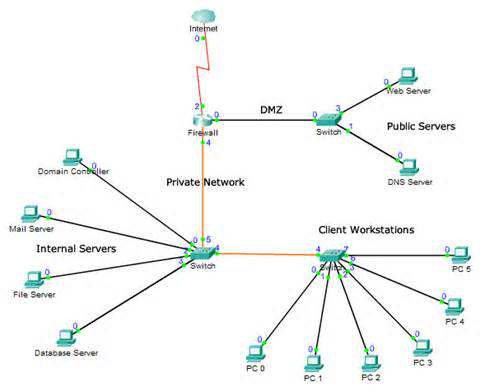 The agents maintain a flat architectural structure communicating only the main results to the central server as opposed to sending all data to the central node through a hierarchical structure. Based on the locations on which IDS agents are distributed, IDSs can be categorized into two broad classes–hosts based and network based. Host based IDS. A host intrusion detection system (HIDS) is installed and run on an individual host where it investigates all inbound and outbound packets associated with that host to identify intrusion (Singh, Gupta, & Kumar, 2011; Neelima & Prasanna, 2013). Besides network packets, HIDSs also monitor various system data, such as event logs, operating system processes, file system integrity, and unusual changes to various configuration settings (Scarfone & Mell, 2007; Bace & Mell, 2001; Kittel, 2010). The architecture of a host based IDS is very straight forward. The detection agents are installed on the hosts, and the agents communicate over the existing organizational network (Scarfone & Mell, 2007). The event data are transmitted to the management server and are manipulated through a console or command line interface (Scarfone & Mell, 2007; Ghosh & Sen, 2005). Host-based IDSs have greater analysis capabilities due to the availability of dedicated resources to the IDS (i.e., processing, storage, etc.) and hence work with a greater degree of accuracy (Bace & Mell, 2001; Garfinkel & Rosenblum, 2003). However, HIDSs have some limitations. Installation, configuration, and maintenance of the IDS must be performed in each host individually, which is extremely time consuming (Scarfone & Mell, 2007; Bace & Mell, 2001). HIDSs are also vulnerable themselves due to their poor real-time responses (Bace & Mell, 2001; Kozu.shko, 2003). However, host based IDSs are excellent choices for identifying long term attacks (Kozushko, 2003). Network based IDS. Network based IDSs identify intrusions through analyzing traffics of a dedicated organizational network in order to secure the associated hosts from malicious attacks (Bace & Mell, 2001). Instead of investigating various activities within the hosts, network based IDSs focus only on packet streams that travel through the network. Network IDSs investigate network, transport, and application protocols and the various network activities, such as port scanning, connection status, port access, etc. to determine attacks. In a network based IDS, multiple sensors or agents are placed on various strategic points on the network (Singh, Gupta, & Kumar, 2011) where they guard a particular segment of network (Scarfone & Mell, 2007), perform local analysis of traffics with the associated hosts, and communicate the results to the central management server. The results from various agents are coordinated to identify planned distributed attacks within the organizational network. ( Bace & Mell, 2001). Network based IDSs are faster to implement and more secured than host-based IDSs. However, there are some disadvantages of NIDSs. One of them is the frequent dropping of packets which normally occurs in a network with high traffic density or during the periods of high network activities (Bace & Mell, 2001; Chatzigiannakis et al., 2004). Network based IDSs are unable to process encrypted information, which is a major drawback in monitoring virtual machine hosts (Bace & Mell, 2001). Network based IDSs only identify signs of attacks but cannot ensure whether the target host is infected (Bace & Mell, 2001), and thus, the manual investigation of host is necessary to trace and confirm associated attacks. According to the mechanism of or approaches to intrusion detection, IDSs can be classified further into two categories: i) anomaly based detection system and ii) misuse or signature based detection system. Anomaly based detection system. Anomaly detection system is based on the principle that all intrusions are linked with some deviations of normal behavioral patterns (Maciá-Pérez et al., 2011; Ghosh & Sen, 2005; Abraham & Thomas, 2005; Singh, Gupta, & Kumar, 2011). It identifies intrusions by comparing the patterns of suspicious events against the observed behavioral patterns of the monitored system (Beg, Naru, Ashraf, & Mohsin, 2010). The anomaly detection programs collect historical data from the system and construct individual profiles that represent normal patterns of host and network utilization (Bace & Mell, 2001). 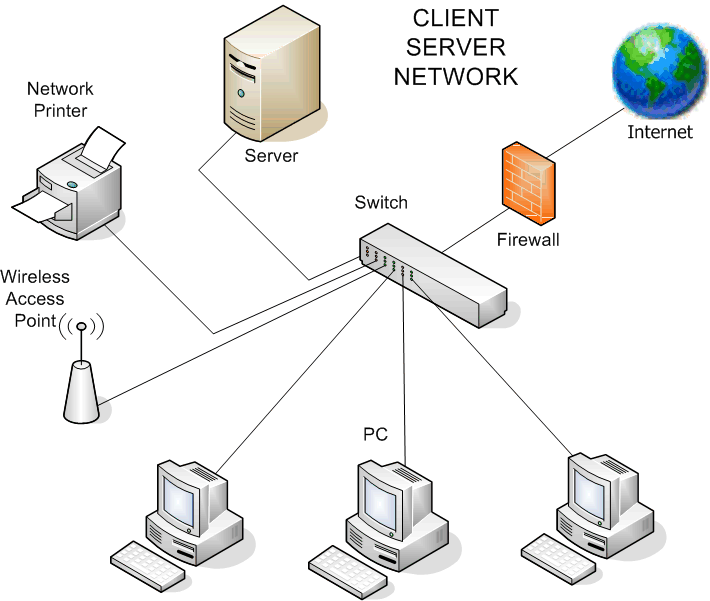 The constructed database along with appropriate algorithm is used to verify the consistency of the network packets. Anomaly detection agents are preferable in that they can detect attacks that are completely unrecognized before (Beg, Naru, Ashraf, & Mohsin, 2010; Kozushko, 2003). However, the rates of false positive generated by the agents are very high (Ghosh & Sen, 2005; Brahmi et al., 2012), and intruders may disguise themselves by mimicking acceptable behavioral patterns (Ghosh & Sen, 2005). Misuse or signature based detection system. Misuse detection approaches depend upon the records of existing system vulnerabilities and known attack patterns (Abraham & Thomas, 2005). Misuse detection systems generate fewer false positives compared to the anomaly detection systems (Ghosh & Sen, 2005; Faysel & Haque, 2010). They are also easy to operate and require minimum human interventions. However, misuse detection techniques are vulnerable to new attacks that have no known signature or matching pattern (Brahmi, Yahia, & Poncelet, 2011; Ghosh & Sen, 2005). So, the signature database of a misuse detection system needs to be frequently updated to recognize the most recent attacks (Scarfone & Mell, 2007). In recent years, security concerns are shifting from host to network due to the proliferation of internet based services, distributed work environment, and heterogeneous networks. The majority of the current IDS vendors are adopting network based and distributed approaches to security in their products (Suryawanshi et al., n. d.). However, there are a number of limitations to most of the distributed IDSs. Firstly, the monitoring agents from the distributed hosts and network send event data to the centralized controller components (Suryawanshi et al., n. d.; Brahmi, Yahia, & Poncelet, 2011; Kannadiga & Zulkernine, 2005). Because of the centralized data analysis performed, these systems are vulnerable to a single point of failure (Bye, Camtepe, & Albayrak, 2010; Zhai, Hu, & Weiming, 2014; Brahmi et al., 2012; Tolba et al., 2005; Araújo & Abdelouahab, 2012). Secondly, the architecture of these systems consists of a hierarchical tree-like structure with the main control system at the root level, sensor units at transient or leaf nodes and information aggregation units at some internal nodes. Information collected from local nodes is aggregated at the root level to obtain a global view of the system (Brahmi et al., 2012). Large scale data transfer from transient nodes to the central controller unit during the aggregation process can create network overloads (Suryawanshi et al., n. d.). These results in a communication delay and an inability to detect large scale distributed attacks efficiently in a real-time manner (Brahmi et al., 2012). In order to overcome these limitations, recent IDSs incorporate various technologies supporting agent-based data analysis and intrusion detection, where agents perform most analysis tasks and send only the important data to the centralized nodes directly through a flat communication structure. Multi-agent based distributed intrusion detection systems (DIDS) are partly autonomous systems capable of self-configuring upon changing contexts of network and hosts and disseminating their analytical capabilities in different corners of network in a distributed manner (Gunawan et al., 2011; Tierney et al., 2001). Through adopting a hybrid approach, such as both the network and host monitoring as well as implementing both anomalous and signature detection methods, distributed agents can coordinate the results of hosts and networks more accurately and perform more comprehensive intrusion detection (Abraham & Thomas, 2005; Brahmi et al., 2012). The most important challenges associated with distributed IDSs are the correct placement of agents (Sterne et al., 2005). Large number of misplaced agents can drive inefficiency and therefore agent locations must be justified through proper investigation of network topology, such as the characteristics of routers and switches, number of hosts, etc. (Chatzigiannakis et al., 2004). Another major challenge is how the heterogeneous data from different sensors should be collected and analyzed to identify an attack (Chatzigiannakis et al., 2004; Debar & Wespi, 2001). Furthermore, being distributed in nature, agents are vulnerable to become compromised themselves. Agents need to follow a common communication protocol and transfer data to centralized server securely without producing too much extra traffic (Chatzigiannakis et al., 2004). Agents’ security and integrity also largely maintained and ensured by the management server. Hence, securing the management server is an important task for the overall security of an IDS. Organizations should consider a dedicated server for the entire management host (Wotring, 2010), which will lower the number of accesses in the server and eventually reduce the exposure to vulnerability. Further restrictions to both physical and network accesses in the management server must be incorporated through proper authentication mechanism and physical restrictions to the server areas. Sometimes the management server can be put behind a dedicated firewall to enhance the security status (Wotring, 2010; Brennan, 2002). Due to the various limitations of IDS products and a lack of skilled network security specialists in the market, IDS deployment in large organizational network involves substantial challenges. A successful IDS deployment requires elaborate planning, requirement analysis, prototyping, testing, and training arrangement (Bace & Mell, 2001). A requirement analysis is conducted to prepare an IDC policy document that demonstrates the organization’s structure and resources and reflects its IDS strategies, security policies, and goals (Bace & Mell, 2001). Before specifying organizational requirements, it should be borne in mind that an IDS is not a standalone security application, and the main objective of an IDS is to monitor traffic on the organization’s internal network in order to complement existing security controls (Werlinger, et al., 2008). Specifying system architecture. Before evaluating and selecting an IDS product, organizations should specify the important requirements for which they seek a potential IDS solution. 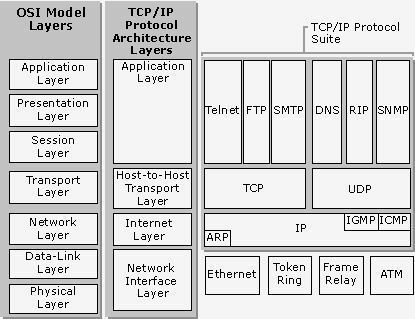 In order to accomplish this goal, organizations may plan and document important properties of their system, such as –i) system and network characteristics; ii) network architecture diagram; iii) technical specifications of the IT environment, including the operating systems, typical services, the applications running on various hosts, etc. ; iv) technical specifications of security structure, including existing IDSs, firewalls, antivirus tools, and various hardware appliances; v) existing network communication protocols; etc. (Scarfone & Mell, 2007; Brandao et al., 2006). These considerations will help organizations to determine which type of IDS is necessary to give optimum protections of their systems. Specifying goals. Once the system architecture and general requirements of the system is documented, the next steps is to specify technical, operational, and business related security goals that the organization wants to achieve by implementing an IDS (Bace & Mell, 2001; Scarfone & Mell, 2007). Some of these goals may be i) guarding the network from particular threats; ii) preventing unprivileged accesses; iii) protecting important organizational assets; iv) exerting managerial controls over the network; v) preventing violations of security or IT policies through observing and recording suspicious network activities; etc. (Scarfone & Mell, 2007). Some security requirements may have implications with organizational culture; such as, the organization that maintains a high degree of formalization in its culture may look for IDSs suitable for various formal policy configurations and extensive reporting capabilities regarding policy violations (Bace & Mell, 2001). A few security goals may derive from external requirements that the organizations may need to achieve, such as legal requirements for the protection of public information, audit requirements for security practices, or any accreditation requirement (Bace & Mell, 2001). There may be industry specific requirements, and organizations need to ensure whether the proposed IDS can meet those (Bace & Mell, 2001). Specifying constraints. IDSs are typically resource intensive applications that need substantial organizational commitments. The most important constraints that organizations need to take into account are the budgetary considerations for the acquisition of software and hardware, infrastructure development, and for the ongoing operation and maintenance. Organizations should identify IDSs’ functional requirements or the users’ skill requirements to operate them effectively (Bace & Mell, 2001). Organizations that will not be able to incorporate substantial human resources in IDS monitoring and maintenance activities should choose an IDS that is more automated and requires little staff time (Scarfone & Mell, 2007). The evaluation of an IDS product is the most challenging aspect on which the success of intrusion detection depends. Today there are a range of commercial and public domain products available for deployment (McHugh, Christie, & Allen, 2000). Each product has distinct drawbacks and advantages. While some products work well in particular types of organizational network, some IDSs may not produce desired results in certain industrial settings. In order to overcome these challenges, organizations must evaluate an IDS product in terms of their system resources and protection requirements (McHugh, Christie, & Allen, 2000). Vendor-specific information, product manuals, whitepapers, third-party reviews, and information from other trusted sources can be valuable resources during the product evaluation (Scarfone & Mell, 2007). IDSs’ detection accuracy, usability, life cycle costs, vendor supports, etc. are some of the most critical aspects during product evaluation. Other features that must be taken into account are security, interoperability, scalability and reporting capabilities (McHugh, Christie, & Allen, 2000; Scarfone & Mell, 2007). Product performance. The performance of IDS is the measure of event processing speed (Debar, Dacier, & Wespi, 1999). The performance feature of IDS products must take a very high degree of attention, as the anomalous or suspicious events must be detected in real-time and reported as soon as possible to minimize damages (Mell et al., 1999; Scarfone & Mell, 2007). Network based IDSs normally suffer from performance problems, particularly where IDSs have to monitor heavy traffic associated with lots of hosts in a distributed network (McHugh, Christie, & Allen, 2000). The performance of IDSs also largely depends on extensive configuration and fine-grained tuning according to the network architecture (Scarfone & Mell, 2007), and testing IDSs with default settings may not represent original performance of the product. These make the evaluation of the product performance extremely challenging. In addition, IDSs with more robust detection capabilities will consume more processing and storage, which can cause the performance loss (Scarfone & Mell, 2007; Yee, 2003). Hence, the scalability feature that allows IDSs dynamically allocate processing power and storage can be one of the important performance evaluation criteria (Mell et al., 1999). Security considerations. During the evaluation of an IDS product, various technologies and features associated with product security must be taken into account, such as protection of stored data, protection of transmitted data during communication between various IDS components, authentication and access control mechanisms, IDS hardening features after product installation, etc. (Scarfone & Mell, 2007). Organizations need to identify whether the IDS is resistant to external modifications (Kittel, 2010). This can be accomplished by checking various features, such as the level of isolation (in case of VMI base IDS) (Kittel T, 2010); cryptographic arrangements during inter-agent communication (Mell et al., 1999); isolated monitoring features; (Kourai & Chiba, 2005); etc. Interoperability, scalability, and reporting features. Interoperability is one of the key challenges for security specialists who aim to develop sophisticated enterprise security architecture incorporating the industry’s leading tools (Yee, 2003). Through interoperability features, IDSs from various platforms are able to correlate their results and effectively communicate data with firewalls and security management tools to enhance the overall surveillance status of the system (Yee, 2003; Scarfone & Mell, 2007). While the interoperability feature provides IDSs with the capabilities to integrate their strengths among multiple security products, the scalability feature helps to incorporate more capabilities within a single IDS product as the organizational requirements grow. For large organizations, IDSs must be able to dynamically allocate processing and storage or be able to implement more agents and various IDS components with the extending demands (Mell et al., 1999). The number of agents implementable in a single management server and the number of management servers in a particular stance of deployment may reflect an IDS’s scalable capacity (Scarfone & Mell, 2007). Another feature that reflects more of the usability than the functionality of an IDS is its reporting capabilities. Technical IDS data needs to be presented in a comprehensible format to the corporate users with various skill levels (Werlinger, et al., 2008). The reporting functionalities help tailoring and presenting data in users’ intended and convenient ways. IDSs should facilitate a comparative view of various states over time, such as before and after the implementation of major changes to the configuration, etc. (Werlinger, et al., 2008). IDSs maintenance and product supports. Because maintenance activities take substantial overheads in operating IDSs, organizations should give various maintenance considerations as the important priorities during an IDS product selection. These include the requirement of independent versus centralized management of agents; considerations of various local and remote maintenance mechanisms, such as host based GUI, web-based console, command line interfaces, etc. ; security protections during various maintenance activities, such as securely transmitting, storing, and backing up IDS data; ease of restoration of various configuration settings; ease of log file maintenance; etc. (Scarfone & Mell, 2007). Organizations require various levels of supports and should identify vendors’ ability in providing active supports according to the requirements during various stages of installation and configuration (Bace & Mell, 2001; Scarfone & Mell, 2007). Apart from on-demand and direct supports, organizations should check whether the vendors maintain users’ groups, mailing lists, forums and similar categories of support in a free of cost manner (Scarfone & Mell, 2007). 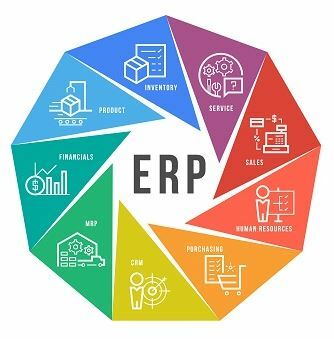 The quality and availability of various electronic and paper based support documents, such as installation guides, users’ manuals, policy recommendation principles and guidelines, etc. are some of the typical features on which an IDS product can be justified in considerable extents (Scarfone & Mell, 2007). Organizations also need to carefully evaluate various costs associated with the support structure (Bace & Mell, 2001). A significant part of IDSs’ costs normally derives from the hidden costs associated with professional support services during IDS implementation and maintenance, including the training costs for both the administrators and IDS users (Yee, 2003; Bace & Mell, 2001). Organizations also need to recognize the costs of updates and upgrades if they are not free (Bace & Mell, 2001). In addition, the vendors’ capabilities to frequently release updates and patches as well as their capabilities to release the updates in a timely manner in response to new threats; conveniences of collection of each update; available means to verify the authenticity and integrity of individual updates; the effects of each update and upgrade with existing configurations of the IDS; etc. also need to be considered (Scarfone & Mell, 2007). The biggest hurdle of IDSs is associated with the installation of the software (Werlinger, et al., 2008). IDS installations require the involvement of security specialists with a broad knowledge on IT and network security and protocols and an in-depth understanding on the organizational structure, resources, and goals (Werlinger, et al., 2008; McHugh, Christie, & Allen, 2000). Unlike other security products installations, an IDS installation is a time consuming and complex process, and the administrators have to face plenty of issues during the installation period. For example, the entire installation may crash in the middle of the installation, or the IDSs may produce inconsistence error messages that are difficult to deal with (Werlinger, et al., 2008). Due to these reasons, careful documentations of various problems and installation information (e.g., various parameters and settings) are necessary during installation, which can save valuable time and resources over the long run (Innella, McMiIlan & Trout, 2002). The amount of tasks and efforts necessary to install an IDS in a specific network can be daunting and overwhelming (Werlinger, et al., 2008). Hence, the availability of automated features in the Intrusion Detection Systems, such as automatic discovery of network devices, faster and more automated tuning options, and quick configuration supports through grouping related parameters, etc. can overcome the challenges with manually performing those tasks (Werlinger, et al., 2008). Organizations should consider testing IDSs in a simulated environment before placing them in the actual network to overcome various challenges associated with large and complex network (Werlinger, et al., 2008; Scarfone & Mell, 2007). Some of these challenges are: i) the IDS software or network may crash during installation or testing periods due to the resource conflicts within various parts of the network (Scarfone & Mell, 2007), ii) IDS installation may alter the network characteristics undesirably, or iii) problems during the installation may keep the network temporarily unavailable. Organizations also need to consider a multi-phased installation by primarily selecting a small part of the network with limited number of hosts, or initially activating a few sensors or agents (Scarfone & Mell, 2007). Both test-bed and multi-phased installations will help security specialists to gain valuable insights through planning and rehearsal processes. This can help them to cope with various challenges associated with the installation, scalability, and configuration related problems (Scarfone & Mell, 2007), such as tuning and configuring properly to get rid of large amount of false alarms or efficiently dealing with huge traffics in a robust network (Werlinger, et al., 2008). Based upon various IDS technologies and the system’s characteristics, IDSs require different level of ongoing human interactions and dedication of resources (Bace & Mell, 2001). A multi-phased installation will help to justify the human resources and time that an organization needs to incorporate (Bace & Mell, 2001). IDS configuration challenges. Whether an IDS will perform as an effective surveillance tool for an organization relies upon the informed justification of various configuration and tuning options and the dedication of resources based upon the IDS’s requirements (Werlinger, et al., 2008). The administrators require an in-depth knowledge on organizational missions, organizational processes, and existing IT services during the configuration process (Werlinger, et al., 2008). This knowledge is necessary to accustom the IDS according to the system structure, users’ behavior, and network traffic patterns, which will subsequently help to reduce the false positive generated by the IDS (Werlinger, et al., 2008). Initially, these challenges can be overcome during an installation through the collaboration of experts or security specialists administering different areas of network and servers within the distributed network (Werlinger, et al., 2008). Organizations should follow their existing security policies to configure various features of IDSs that may help them to recognize various policy violations (Bace & Mell, 2001). Following are the most important considerations that need to be ensured during IDSs configuration. IDSs (if exist), existing firewalls, and the system or application logs (McHugh, Christie, & Allen, 2000). The interoperability features of IDSs and the use of common alert formats will allow the administrators to integrate data and alerts (McHugh, Christie, & Allen, 2000). Security hardening and policy enforcement. Sometimes IDSs may be the attackers’ primary targets, and security hardening is necessary to ensure IDSs’ safety (Scarfone & Mell, 2007). The important tasks during security hardening involve; i) hardening IDSs through implementing latest patches and signature updates immediately after installation; ii) creating separate users’ accounts for general users and administrators with the appropriate level of privileges (Scarfone & Mell, 2007); iii) controlling access to various firewalls, routers, and packet filtering devices; iv) securing IDS communication by implementing suitable encryption technology (Scarfone & Mell, 2007); etc. managing skills for ongoing operation and maintenance. (Scarfone & Mell, 2007). Monitoring, analysis and reporting. Successful monitoring of IDSs involves monitoring of network traffics and the proper recognition of suspicious behavior. The important tasks during ongoing monitoring includes i) monitoring various IDS components to ensure security (Scarfone & Mell, 2007); ii) monitoring and verifying different operations, such as events processing, alert generations, etc. (Scarfone & Mell, 2007); and iii) periodic vulnerability assessments. IDSs’ vulnerability assessments are conducted through appropriate level of analyses by incorporating various IDS features and tools and by correlating agents’ data (Scarfone & Mell, 2007). For ease of monitoring, IDSs require to generate reports in readable formats, which is done through various levels of customization of views (Scarfone & Mell, 2007). Because monitoring and maintenance involve substantial human interventions, these can consume lots of staff time and resources. Organizations can overcome these challenges in two major ways: i) customizing and automating tasks to enhance control over maintenance activities (Scarfone & Mell, 2007) and ii) incorporating smart sensors that work autonomously in the network to analyze the traffics and recognize trends and patterns (Scarfone & Mell, 2007). Applying updates. Regular IDS updates need to be implemented in order to achieve appropriate protections for both IDSs and the system. Security officials need to check vendors’ notifications of security information and updates periodically and apply them as soon as they are released (Scarfone & Mell, 2007). Both software updates and signature updates are important for IDS security and appropriate functioning. A software update provides bug fixes and new features to the various components of an IDS product, including sensors or agents, management servers, consoles, etc. (Scarfone & Mell, 2007). A signature update enhances IDSs’ detection capabilities through updating configuration data. Hackers can alter the code of updates; so, verifying the checksum of each update is crucial before applying the update (Scarfone & Mell, 2007; Mell et al., 1999; Hegarty et al., 2009). Apart from software updates, organizations need to justify the positioning of IDS agents and components and ensure their optimal placement by periodically reviewing the network configurations and changes (McHugh, Christie, & Allen, 2000). Retaining existing IDS configurations is a vital consideration before applying an update. Usually, normal updates will not change existing IDS configurations. But, IDS codes that are tailored and customized by the administrators to incorporate desirable functionalities may be altered during code updates. However, administrators should save and backup both customized codes and configuration settings before applying updates (Scarfone & Mell, 2007). Drastically applying updates to the IDS system or components also poses certain challenges. New signatures or detection capabilities can cause a sudden flooding of alerts (Scarfone & Mell, 2007). To detect and overcome the problematic signature from the updates, administrators should test the signature and software updates in a smaller scale or within a specific host or agent (Scarfone & Mell, 2007). Generating skills. The ongoing operation and maintenance of IDSs and the appropriate utilization of IDS data require security officials with a set of skills and knowledge. Security teams of many organizations are unable to conduct customization or tuning of IDS products based on the IDS data in their own networks within reasonable time frame (Werlinger, et al., 2008). To ensure the effective manipulation of IDSs in both the user and administrator levels, organizations must consider providing training to all stakeholders involved in IDSs operations. This includes acquiring skills on general IDS principles, operating consoles, customizing and tuning IDS components, generating reports, etc. (Scarfone & Mell, 2007). Organizations should take available training options into considerations according to the users’ needs and conveniences, such as online training, CBT, instructor-led training, lab practices, hands-on exercises, etc. (Scarfone & Mell, 2007). Organizations may also utilize various information resources (Scarfone & Mell, 2007), such as various electronic and paper based documents (e.g., installation guides, users’ manuals, policy recommendation principles and guidelines, etc.) to generate skills required during installation and maintenance activities (Scarfone & Mell, 2007). Different distributed IDS architecture consists of varieties of role-based agents, such as sniffer, filter, misuse detection, anomalous detection, rule mining, reporter agents, etc. (Scarfone & Mell, 2007; Anderson, Frivold & Valdes, 1995). The distribution of intrusion detection tasks among agents substantially reduce IDSs’ operation loads and increase performance. However, one challenge associated with distributed IDSs is the management of large number of agents. IDS agents in many global companies sit on different geographical regions (Innella, McMiIlan & Trout, 2002). To optimize IDSs’ performance and save valuable resources, large organizations need to justify the options between centralized versus distributed management of agents (Innella, McMiIlan & Trout, 2002). If the management of an IDS does not involve several administrators or a hierarchical structure, a centralize approach of IDS management can provide number of benefits over distributed management (Innella, McMiIlan & Trout, 2002). First, it simplifies the network structure and reduces the vulnerability points through reducing the requirement of multiple agents and sensors. Second, the simplified structure will reduce the management costs and other overheads (Innella, McMiIlan & Trout, 2002). Overall, it reduces the network data transportation costs through minimizing the travel of agent data to multiple IDS managers. Organizations should choose the most efficient approach to data collection, and a centralized management can facilitate administrators to coordinate multiple IDSs or agents efficiently through the smooth and uncluttered network (Innella, McMiIlan & Trout, 2002). Another challenge of managing distributed agents is to ensure agents’ integrity. Hosts must ensure that the agents are free of malicious codes before permitting them to operate on the platform. This is done by signing agents’ codes, i.e., incorporating valid certificates against which the hosts check the integrity of an agent (Krugel & Toth). Agents are vulnerable to modification during its transmission (Krugel & Toth). Applying an appropriate encryption method during agent transmission can overcome the barrier. In case of mobile agents in distributed IDS, the central management server dispatches varieties of agents to different nodes of the network. A single mobile agent may carry on multiple functionalities which incorporate large amount of codes into the agent’s structure and attribute some limitations on its mobility (Krugel & Toth). A substantial part of these codes are associated with hosts’ operating system specific functionalities (Krugel & Toth). To overcome this limitation, i.e., to keep the agents small in size, only generic codes can be incorporated into the agent’s structure and the operating system dependent codes into the hosts themselves (Krugel & Toth). Agents need to communicate each other to maintain the operational consistency. Agents can perform distant communications through creating communication channels among them and then exchanging messages (Brahmi, Yahia, & Poncelet, 2011). Agents interact with each other using an ACL (Agent Communication Language) language (Brahmi, Yahia, & Poncelet, 2011). Information can be sent in text formats using standard and secured protocols (Brahmi, Yahia, & Poncelet, 2011). In some distributed IDS architecture, a mobile agent can directly visit to a particular host, deploy itself on that host, and then exchange required messages (Brahmi, Yahia, & Poncelet, 2011). Upon receiving the messages, the deployed agent can return to the place of its origin or visit another host as required (Brahmi, Yahia, & Poncelet, 2011). Data collection, aggregation, and storage are vital concerns for effective manipulation and correlation of events data (Innella, McMiIlan & Trout, 2002). Before data aggregation, organizations need to determine which types of data should be collected and preserved. Distributed IDSs place agents in different corners of the network, where agents collect representative data in a distributed manner according to the organizations’ interests (Holtz, David, & de Sousa Junior, 2011). Once collected, data is filtered and analyzed and inferred locally by the agents. Agents normally send only those data to the management sever that are meaningful. However, the responsibility of distributed IDSs or distributed agents is not only to collect network packets but also audit data traces from the associated hosts, such as logs generated by applications, operating systems, and other defensive software (Holtz, David, & de Sousa Junior, 2011). Organizations need to determine whether all these data will be sent to the management server. For security reasons, IDSs log data should be preserved both locally and centrally (Scarfone & Mell, 2007). Another challenge of data storage is to determine how long the log data should be preserved. Day-to-day accumulated log data can quickly overrun the capacity of data storage. Organizations may need to store IDS data accumulated in as much as two years period (Innella, McMiIlan & Trout, 2002), and conveniently storing these enormous amount of log data in the centralized server of a distributed IDS is challenging (Scarfone & Mell, 2007). To overcome the barrier of data storage, a number of researchers suggested incorporating cloud based data storage in the IDS architecture for scalability, flexibility, and ease of access (Scarfone & Mell, 2007; Alharkan & Martin, 2012; Chen et al., 2013). Data storage is not only associated with volume issues, other issues, such as storage management and the level of security applied to the data also implies a great deal of challenges. IDS data is vulnerable during transmission and during storage. To ensure authenticity and integrity of collected data, suitable cryptographic arrangements are made during transmission and storage of agent data (Holtz, David, & de Sousa Junior, 2011; Cloud Security Alliances, 2011, Catteddu & Hogben, 2009). Cryptographic arrangements in a large scale system can be managed effectively by deploying the enterprise wide Public Key Infrastructure (PKI) (Sen, 2010; Tolba et al., 2005). The administrators often need to carry out various analysis tasks through data fusion and events correlation in order to identify subtle attacks (Holtz, David, & de Sousa Junior, 2011). Analysis of IDS data requires appropriate manipulation of data originating from the network and hosts. Administrators need sound analysis skills in order to efficiently accomplish this goal. The fundamental unit of IDS data is event (Jordan, 2000). One way IDSs generate alarms is through context sensitive analysis by counting events and determining thresholds. For example, many connections at a certain time is recognized as a SYN flood, or too many different ports visited at a time is recognized as a port scan (Jordan, 2000). Another way to determine an intrusion is through identifying the quality of uncoupled events in terms of their passing of certain criteria, such as the pattern of a pre-recognized signature (Jordan, 2000). In a distributed IDS, the above analysis of IDS data is locally performed by the distributed agents. A more advance analysis is performed in the centralized server through event correlations. While the tasks of each agent are to identify network intrusion and suspicious behavior in its associated network segment, the centralized server is responsible for correlating these individual agent data in order to identify planned and distributed attacks on the network (Yee, 2003). The centralized server aggregates agent data for event correlation. In the process of event correlation, if a network packet with inconsistent signature is identified (Jordan, 2000) or an event is recognized as suspicious, the next step is to identify the correlated events demonstrating similar patterns (Jordan, 2000). In order to accomplish this goal, IDSs will constantly search for connections between suspicious and non-suspicious events (Jordan, 2000). Network administrators may need to adopt various analysis techniques (e.g., data fusion, data correlation, etc.) and tools (e.g., honey pots) to successfully carry on the event correlation tasks (Holtz, David, & de Sousa Junior, 2011). However, in a large scale distributed network where each segment of the network poses distinct characteristics and where the hosts are running on heterogeneous environments, associating one suspicious network event with another event generated from a distant network segment is tremendously challenging (Innella, McMiIlan & Trout, 2002). It requires a broad understanding of entire network as well as the effective communication and coordination between security officials responsible for the management of various segments of the network. Correlation of different types of IDS data facilitates the identification of large scale distributed attacks in a coordinated manner (Brahmi et al., 2012; Brahmi, Yahia, & Poncelet, 2011). There are advantages and limitations of each IDS product. A single product cannot ensure the full protection from all kinds of intrusions and malicious activities. Large organizations that have multiple products (either from the same or different vendors) with different detection methods and strategies need to correlate their IDSs’ data to produce maximum benefits from them (Sallay, AlShalfan, & Fred, 2009). A single management interface (or console) can facilitate the coordination, management and control of IDS data coming from multiple IDS products (Scarfone & Mell, 2007). Organizations may need to identify whether the IDS products can directly share and coordinate various kinds of IDS data directly within their management interfaces (Scarfone & Mell, 2007). This normally occurs with different IDS products coming from the same vendor. On the other hand, organizations also need to ensure whether IDSs have interoperability features to share the log files or other output files from other IDSs and security related products (Scarfone & Mell, 2007). This type of coordination among multiple IDSs is normally accomplished by SIEM (Security Information and Event Management) software (Scarfone & Mell, 2007; Chuvakin, 2010). Abraham, A., & Thomas, J. (2005). Distributed intrusion detection systems: a computational intelligence approach. Applications of information systems to homeland security and defense. USA: Idea Group Inc. Publishers, 105-135. Alharkan, T., & Martin, P. (2012). IDS aaS: Intrusion detection systems as a service in public clouds. In Proceedings of the 2012 12th IEEE/ACM International Symposium on Cluster, Cloud and Grid Computing (ccgrid 2012), 686-687. IEEE Computer Society. Anderson, D., Frivold, T., & Valdes, A. (1995). Next-generation intrusion detection expert system (NIDES): A summary. SRI International, Computer Science Laboratory. Araújo, J. D., & Abdelouahab, Z. (2012). 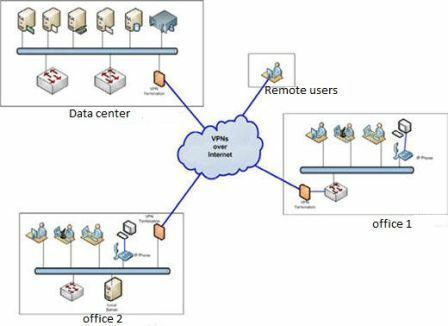 Virtualization in Intrusion Detection Systems: A Study on Different Approaches for Cloud Computing Environments. International Journal of Computer Science and Network Security (IJCSNS), 12(11), 10. Beg, S., Naru, U., Ashraf, M., & Mohsin, S. (2010). Feasibility of intrusion detection system with high performance computing: A survey. International Journal for Advances in Computer Science, 1(1), 26-35. Boudaoud, K., Labiod, H., Boutaba, R., & Guessoum, Z. (2000). Network security management with intelligent agents. In Network Operations and Management Symposium, 2000. (NOMS 2000). Brandao, J. E. M., da Silva Fraga, J., Mafra, P. M., & Obelheiro, R. R. (2006). A WS-based infrastructure for integrating intrusion detection systems in large-scale environments. In Meersman, R., Tari, Z., & Herrero, P. (2006). On the Move to Meaningful Internet Systems 2006: OTM 2006 Workshops; proceedings of the OTM Confederated International Conferences, CoopIS, DOA, GADA, and ODBASE 2006, Montpellier, France. Brahmi, I., Yahia, S. B., Aouadi, H., & Poncelet, P. (2012). Towards a multiagent-based distributed intrusion detection system using data mining approaches. Brahmi, I., Yahia, S. B., & Poncelet, P. (2011). A Snort-based Mobile Agent for a Distributed Intrusion Detection System. In SECRYPT, 198-207. Brennan, M. P. (2002). Using Snort for a Distributed Intrusion Detection System. SANS Institute. Bye, R., Camtepe, S. A., & Albayrak, S. (2010). Collaborative Intrusion Detection Framework: Characteristics, Adversarial Opportunities and Countermeasures. Catteddu, D., & Hogben, G. (2009). Cloud Computing: benefits, risks and recommendations for information security. European Network and Information Security Agency (ENISA). Chuvakin, A. (2010). SIEM: Moving Beyond Compliance – Intrusion Detection Systems. White Paper for RSA. Chen, Z., Han, F., Cao, J., Jiang, X., & Chen, S. (2013). Cloud computing-based forensic analysis for collaborative network security management system. Tsinghua Science and Technology, 18(1), 40-50. Chatzigiannakis, V., Androulidakis, G., Grammatikou, M., & Maglaris, B. (2004). A distributed intrusion detection prototype using security agents. HP OpenView University Association. Cloud Security Alliances (2011). Security guidance for critical areas of focus in cloud computing v3.0. A report by Cloud Security Alliance. Debar, H., Dacier, M., & Wespi, A. (1999). Towards a taxonomy of intrusion-detection systems. Computer Networks, 31(8), 805-822. Debar, H., & Wespi, A. (2001). Aggregation and correlation of intrusion-detection alerts. In Recent Advances in Intrusion Detection, 85-103. Springer Berlin Heidelberg. Faysel, M. A., & Haque, S. S. (2010). Towards cyber defense: research in intrusion detection and intrusion prevention systems. International Journal of Computer Science and Network Security (IJCSNS), 10(7), 316-325. Garfinkel, T., & Rosenblum, M. (2003). A Virtual Machine Introspection Based Architecture for Intrusion Detection. In NDSS, 3, 191-206. Ghosh, A., & Sen, S. (2004). Agent-based distributed intrusion alert system, 240-251.In Proceedings of the Sixth International Workshop on Distributed Computing (IWDC’04), 240–251, Kolkata, India. Gunawan, L. A., Vogel, M., Kraemer, F. A., Schmerl, S., Slåtten, V., Herrmann, P., & König, H. (2011). Modeling a distributed intrusion detection system using collaborative building blocks. ACM SIGSOFT Software Engineering Notes, 36(1), 1-8. Hegarty, R., Merabti, M., Shi, Q., & Askwith, B. (2009). Forensic analysis of distributed data in a service oriented computing platform. In proceedings of the 10th Annual Postgraduate Symposium on The Convergence of Telecommunications, Networking & Broadcasting, PG Net. Holtz, M. D., David, B. M., & de Sousa Junior, R. T. (2011). Building Scalable Distributed Intrusion Detection Systems Based on the MapReduce Framework. Revista Telecomunication, 2, 22-31. Iheagwara, C. (2003). Intrusion Detection Systems–Strategies for improving Performance. Innella, P., McMiIlan, O., & Trout, D. (2002). Managing Intrusion Detection Systems in Large Organizations. Jordan, C. (2000). Analyzing Intrusion Detection Systems Data. Kannadiga, P., & Zulkernine, M. (2005). DIDMA: A distributed intrusion detection system using mobile agents. In Proceedings of the Sixth International Conference on Software Engineering, Artificial Intelligence, Networking and Parallel/Distributed Computing and First ACIS International Workshop on Self-Assembling Wireless Networks (SNPD/SAWN’05), 238-245. Kittel, T. (2010). Design and Implementation of a Virtual Machine Introspection based Intrusion Detection System. Kourai, K., & Chiba, S. (2005). 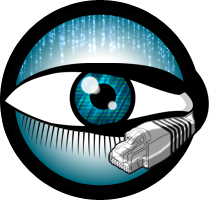 HyperSpector: virtual distributed monitoring environments for secure intrusion detection. In Proceedings of the 1st ACM/USENIX international conference on Virtual execution environments, 197-207. Kozushko, H. (2003). Intrusion detection: Host-based and network-based intrusion detection systems. Independent study. Krugel, C., & Toth, T. Applying Mobile Agent Technology to Intrusion Detection. Lasheng, Y., & Chantal, M. (2009). Agent based distributed intrusion detection system (ABD Intrusion Detection Systems). In Proceedings of the Second Symposium International Computer Science and Computational Technology (ISCSCT ’09), 134-138, Huangshan, P. R. China. Ramos-Morillo, H., & Lorenzo-Fonseca, I. (2011). Network intrusion detection system embedded on a smart sensor. Industrial Electronics, 58(3), 722-732. McHugh, J., Christie, A., & Allen, J. (2000). The role of intrusion detection systems. IEEE Software, 17(5), 42-51. Mell, P., Karygiannis, T., Marks, D., & Jansen, W. (1999). Applying mobile agents to intrusion detection and respons. A publication of National Institute of Standards and Technology (NIST), US Department of Commerce. Neelima, S., Prasanna, L.Y. (2013). A Review on Distributed Cloud Intrusion Detection System. International Journal of Advanced Technology & Engineering Research (IJATER), 3(1), 116-120. Rao, K. R., Pal, A., & Patra, M. R. (2009). A service oriented architectural design for building intrusion detection systems. International Journal of Recent Trends in Engineering and Technology, 1(2), 11-14. Sallay, H., AlShalfan, K. A., & Fred, O. B. (2009). A scalable distributed Intrusion Detection Systems Architecture for High speed Networks. International Journal of Computer Science and Network Security (IJCSNS), 9(8). Scarfone, K., & Mell, P. (2007). Guide to intrusion detection and prevention systems (IDPS). NIST special publication, Technology Administration, U.S. Department of Commerce. Sen, J. (2010). An Agent-Based Intrusion Detection System for Local Area Networks. International Journal of Communication Networks and Information Security (IJCNIS), 2(2), 128-140. Singh, R. R., Gupta, N., & Kumar, S. (2011). To reduce the false alarm in intrusion detection system using self-organizing map. International Journal of Soft Computing and Engineering (IJSCE), 1(2), 27-32. Sterne, D., Balasubramanyam, P., Carman, D., Wilson, B., Talpade, R., Ko, C. & Bowen, T. (2005). General cooperative intrusion detection architecture for MANETs. In Proceedings of the Third IEEE International Workshop on Information Assurance, 57-70. Sundaram, A. (1996). An introduction to intrusion detection. Crossroads, 2(4), 3-7. Suryawanshi, G. R., Jondhale, S. D., Korde, S. K., Ghorpade , P. P., Bendre, M. R. (n. d.). Mobile Agent for Distributed Intrusion Detection Systems in Distributed System. International Journal of Computer Technology and Electronics Engineering (IJCTEE), 1(3), 70-75. Tierney, B., Crowley, B., Gunter, D., Lee, J., & Thompson, M. (2001). A monitoring sensor management system for grid environments. Cluster Computing, 4(1), 19-28. Tolba, M., Abdel-Wahab, M., Taha, I., & Al-Shishtawy, A. (2005). Distributed Intrusion Detection Systems for Computational Grids. In International Conference on Intelligent Computing and Information Systems, 2. Werlinger, R., Hawkey, K., Muldner, K., Jaferian, P., & Beznosov, K. (2008). The challenges of using an intrusion detection system: is it worth the effort?. In Proceedings of the 4th symposium on Usable privacy and security, (SOUPS), July 23-25, Pittsburgh, PA, USA. Wotring, B. (2010). Host Integrity Monitoring: Best Practices for Deployment. Yee, A. (2003). The intelligent Intrusion Detection Systems: next generation network Intrusion Detection Systems management revealed. NFR security white paper. Zhai, S., Hu, C., & Weiming, Z. (2014). Multi-Agent Distributed Intrusion Detection Systems Model Based on BP Neural Network. International Journal of Security and Its Applications, 8 (2), 183-192.